Forgetting your password is a common encountering problem. Therefore, social & banking sites continuously prompt their users to update their password regularly and make a complex password such that it makes difficult for a hacker to crack your information & helps you to stay safe online. Same applies to iCloud users also. The iCloud password is for logging into iCloud and iCloud.com Mostly, it is same as your Apple Id, so if you can remember your Apple Id password, then it is a child play to log on to your iCloud device. Important: - Generally, your Apple ID is same as ID for your iCloud account. In this case, recovering iCloud password means also recovering your password of Apple ID. 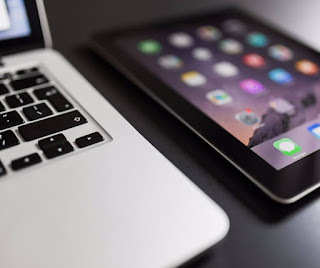 When you are dealing with recovering your password, it is important that you at least remember your Apple ID, because forgetting an Apple ID almost closes down your way to get back your password for it, unless it is linked to your mobile or some other means. Some simple errors are made while entering the password, and we end up thinking that we have forgotten our password, which may not be the case (even though rarely). Hence, ensure that these steps are filtered. Make sure your Caps Lock key isn't active (it lights up when pressed). As we know, iCloud passwords are case-sensitive (which means different ASCII codes are there for upper and lower case), so if your Caps Lock is on, it won’t work. Ensure that your email address is right and password for the Apple ID and iCloud address matches. Follow this step by step process to recover your password. Open Safari browser and enter “appleid.apple.com” in the address bar. Click next after entering your Apple ID. Now you need to confirm your identification. You will find following two options to authenticate yourself. Choose any one out of them to proceed. Here, at first, I'm going to choose the first option. After selecting that option, click next. Apple will send an email (recovery email) to the secondary email attached with that particular account. You're not allowed to check which email account it is. It’s your duty to at least remember that one. So you'll have to go to your mail account and check if the email has arrived. You will get an email from Apple with the following message "How to Reset Your Apple ID Password.” Click on the Reset Now link given in the email and follow the instructions after clicking it. Still, if you don't receive the email, then it may have been sent to an email address which is no longer in use. Click Return To My Apple ID. Press Reset My Password and then enter your Apple ID again. Now click Next & choose Answer Security Questions & hit Next button. Enter your Birth Date that includes Day, Month and Year. Enter the answers to the two security questions. These may vary but should be based on the information you entered while setting up your account, such as your pet name, your primary school name, etc. Click Next. Fill your detail in New Password, Confirm Password fields and make sure you have used the same password in each province. If you have two-step verification enabled in your account, then that would of great help as you will be able to use this further to reset your password. You will need your recovery key i.e. the print out you have created while setting up two-step verification process. The above solution is the most reliable and helping one through which you can easily recover your account. Hope this guide helps you in getting your solution. Very informative and helpful tips.